The Energy for Life Team is committed to physical, emotional and spiritual knowledge of the body as a whole. Through shared holistic experiences, our goal is to empower individuals to lead a healthy lifestyle and discover fulfillment and happiness on the job, at home and in all areas of life. Brandan has been working with POET wellness for the past six years. He is a sponsored International Federation of Bodybuilding and Fitness (IFBB) pro physique athlete, published writer, motivational speaker and fitness coach. 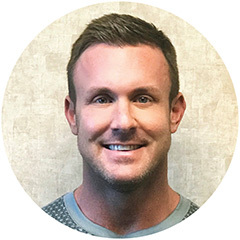 He loves helping and working with people, especially through the fitness industry. Brandan’s main goal in life is to be a great husband and father to his wife and son. Along with living a healthy lifestyle, he strives to drive others to exceed their expectations by inspiring, educating and motivating them to always achieve their goals. 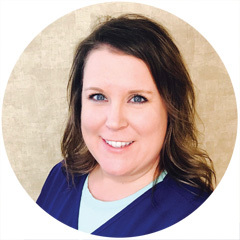 Sarah is a massage therapist who attained her license from the South Dakota School of Massage in Sioux Falls, S.D. 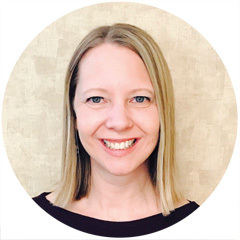 She has been practicing for 13 years and provides a variety of services to POET team members and their families, including on-site massage therapy, homeopathy, foot detoxes and mind-body support. Sarah’s quality of life has improved from natural healing remedies, and she has a deep passion to pass that knowledge on to others and show how the body has the amazing ability to heal itself. A habit is a behavior pattern regularly followed until it has become almost involuntary. Not all habits are bad. However, when they begin to negatively impact our health, it’s important to break them and adopt new habits that promote a healthier lifestyle and quality of life. The goal of this challenge is to focus on implementing just one healthy change per week. Here are eight simple steps you can take to begin the journey toward a healthier, happier you. 1. WATER: Drinking enough water throughout the day promotes healthy digestion, hydration, brain function and metabolism, to name a few. Week 1 Challenge: Focus on drinking at least six to eight cups of water per day. 2. ELIMINATE REFINED SUGARS: Consuming too much sugar increases your risk for many long-term health problems, such as weight gain, diabetes and other chronic diseases. Week 2 Challenge: Focus on replacing sugary treats with healthier options such as fruits, raw veggies or nuts. 3. SLEEP: Our bodies need sleep, but it’s easy to overlook the importance of being well-rested. Sleep promotes heart health and weight loss, may prevent cancer, and reduces stress and inflammation. Week 3 Challenge: Focus on getting at least seven to nine hours of sleep each night. 4. EXERCISE: In addition to paying attention to nutrition and getting enough rest, exercise is a key component of a healthy lifestyle. Cardiovascular exercise and weight training have tremendous long-term health benefits. Week 4 Challenge: Push yourself to be active for 20-30 minutes, three to five times each week. 5. CULTIVATE SELF-LOVE: We’re all guilty of being too hard on ourselves. Practicing self-love leads to overall positivity. 6. ELIMINATE PROCESSED FOODS: Processed and pre-packaged foods are higher in salt, sugar, and fat — three ingredients that can cause a variety of long-term health issues. Week 6 Challenge: Focus on replacing meals with natural foods and limited processing to maximize nutritional value. Look up a few recipes and try cooking meals at home using fresh produce. 7. DISCOVER YOUR BALANCE: Even though it is difficult, it is important to find a balance between all the areas pulling on you in life such as your work, home, family and health. Take the time to understand where your energy is best spent and make sure you aren’t spreading yourself too thin. Week 7 Challenge: Write down all the activities you are involved in, work or extracurricular, choose the top three you are most passionate about, and maybe consider if you can still be as involved in the rest. 8. BE STILL: We were created to be human beings, not human doings. It is important to take time to step away from what you’re doing, decompress and refocus yourself. Find a quiet place where you can sit comfortably, close your eyes and just be. Regardless of the chaos life might throw your way each week, it’s important to take time for yourself. In a world that is always on the move, it can be difficult to slow down and simply “be.” Yet there is a simple act of self-care that requires only a few minutes each day and has numerous health benefits for the mind, body and soul: meditation. Meditation, simply stated, is a practice of being still. It is also a spiritual practice that helps us connect with the higher power in this world. Here are a few tips for developing your own practice. Take a deep breath, slow down and get started. 1. FIND A QUIET AREA FREE FROM DISTRACTIONS. This can be a room in your house, the workplace or even somewhere in nature. 2. GET A MENTAL PICTURE. Focus your thoughts on something positive that brings you joy, such as your passions, the people in your life, or the beauty of creation and the world around you. 3. CONCENTRATE ON YOUR BREATHING. How deep or shallow is your breath? Notice the rising and falling of your chest. 4. CHOOSE A SILENT MEDITATION OR ONE THAT INCLUDES SOFT MUSIC OR NATURE SOUNDS. You can create a personal playlist, or go to a music or meditation app on your digital device with pre-programmed music or sounds. As you breathe in, think to yourself, “I choose.” As you breathe out, think, “To live.” Continue to breathe and recite the phrase a few times. Have you heard about the many benefits of essential oils but aren’t sure what to do with them? Essential oils are used primarily for their scents and healing effects. They can help you achieve a variety of health goals, from serving as an antiseptic and anti-inflammatory agent to promoting relaxation. When buying essential oils, look for 100 percent therapeutic grade. Do your research and buy only good quality essential oils! If you are new to essential oils, a simple lavender oil can be a great place to start. Lavender is believed by many to help reduce anxiety, stress and fatigue. foot soak to help calm the nerves. pillow case to promote a good night’s sleep.